Farmers urged to submit forage budget farm through Teagasc. The ICSA is urging farmers to complete a forage budget form through Teagasc or FAS approved advisor in order for the Fodder Transport Scheme to be fully activated in fodder affected counties. Commenting following a meeting with Teagasc staff in Longford on Friday, Cavan ICSA chairman Hugh Farrell said that for regions or whole counties to access the scheme, “local Teagasc officials have to be satisfied that adequate fodder is not available locally and must be transported in from another part of the country. “This means that farmers who wish to access the scheme are prohibited from doing so if enough of their county neighbours haven’t also expressed a need. “Essentially, farmers are operating in the dark with regards to this scheme as it will not be activated in an area until a magic, undisclosed number has been reached,” he said. 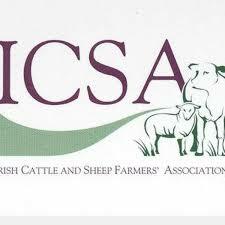 ICSA Sligo chairman Gabriel Gilmartin added, “ICSA believes that this goes against the whole spirit of the scheme which was to help farmers in dire need and to prevent animal welfare issues down the line. Connacht/Ulster Vice president, who said there was no reason for the scheme not to be fully operational.